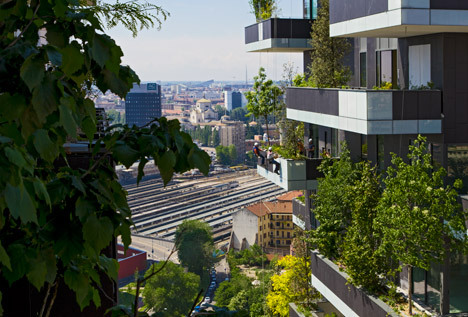 Why stop at parks when we could make cities lusher and greener by integrating thousands of plants right into the facades of urban buildings? 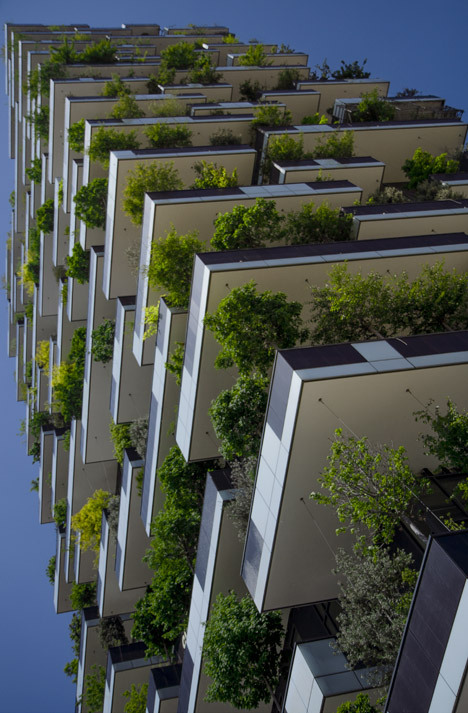 Vertical greenery improves air quality, shades the buildings, adds privacy and creates habitats for native birds and insects. These 13 examples include a parking garage, private residences, retail spaces and the world’s tallest vertical garden. 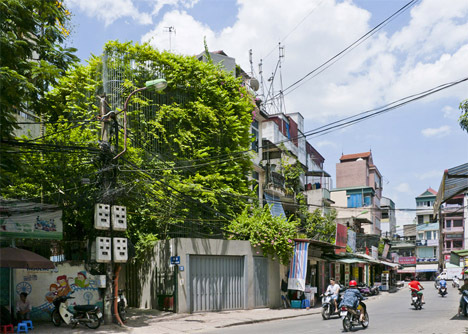 Created as an example of how greenery can be incorporated back into urban Vietnam, this house renovation incorporates a galvanized steel screen that acts as a trellis for climbing plants, enhancing privacy and security while also filtering air and sunlight. 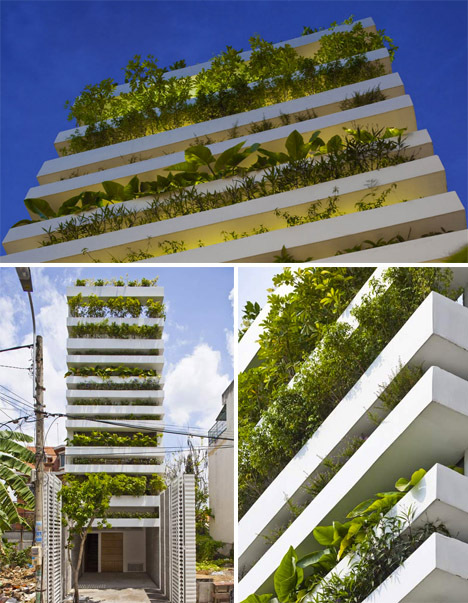 Another approach by the same architecture firm, Vo Trong Nghia, uses 12 layers of concrete planters to create a vertical garden around a tall and narrow home that’s 65 feet deep but only 13 feet wide. Staggered spaces between the layers offer room for different heights of plants. 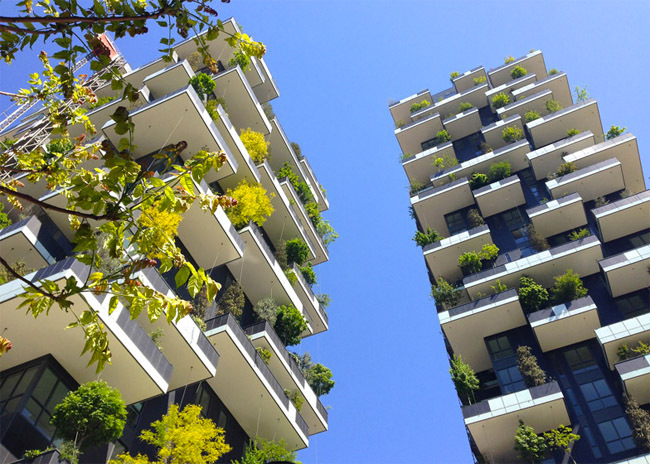 Nearly 1,000 trees, 5,000 shrubs and over 10,000 other small plants have been added to the city of Milan in these two urban towers alone. 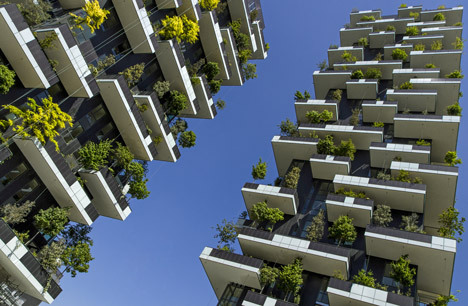 The twin towers of the Bosco Verticale by Stefano Boeri were designed to meet all of the needs of a heavy load of plants, including irrigation, root systems and weight. The greenery brightens up the city, provides shade and cleaner air for residents, and offers habitats for regional birds and insects. 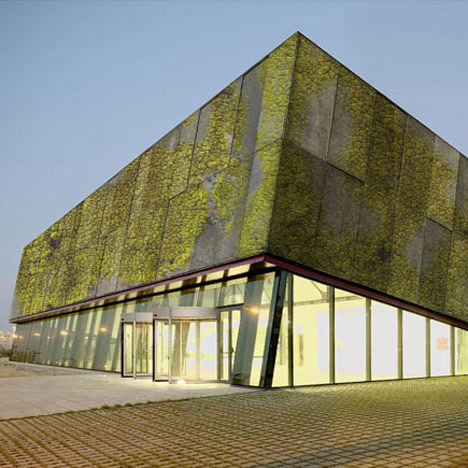 Building materials could be made with the growth of greenery in mind, making a layer of moss or ivy on the exterior a natural part of the structure rather than a potential problem. 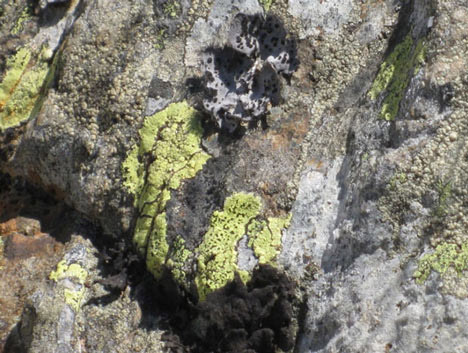 Scientists at the Universitat Politecnica de Catalunya in Barcelona are developing a ‘biological concrete‘ that captures rainwater to create living walls of moss and fungi. 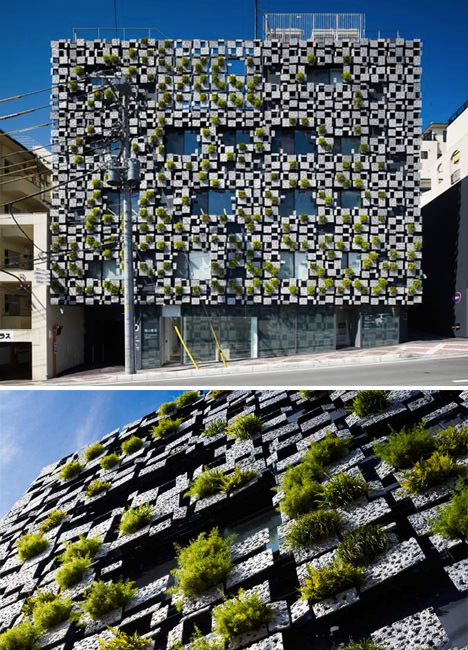 Kengo Kuma and Associates created a patchwork aluminum facade with spaces for plants to grow for a pharmacy and clinic in Japan. 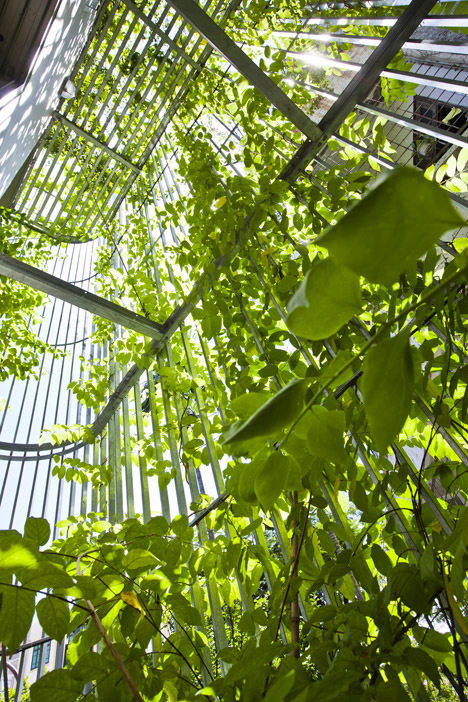 Ventilation shafts and rainwater downpipes are concealed within the panels to keep the plants healthy.